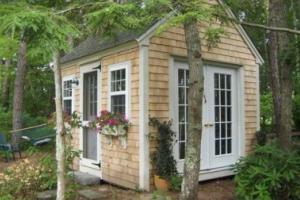 ← What size building should you build? 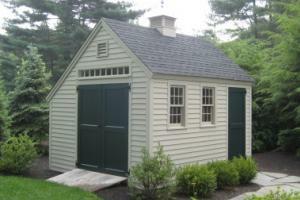 Finishing your post and beam building to match any look and feel you need or want is easy. The interior of traditional post and beam sheds and buildings built from this guide already have a nice finished look inside. 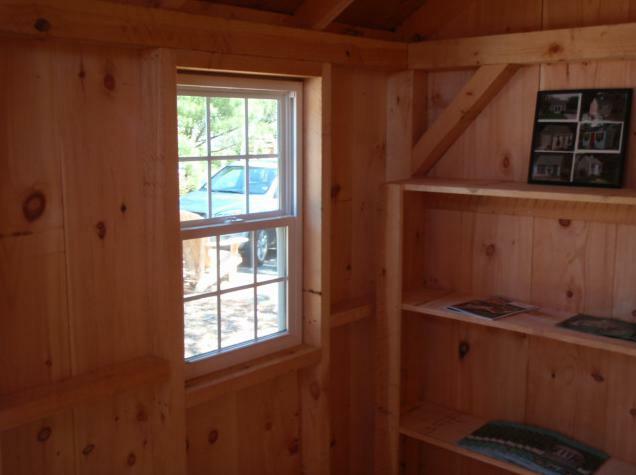 As you can see from the photo below, the boards and interior post and beam framing gives this building a cabin feel. Adding shelves, cabinets or other built-ins out of the same wood makes them blend right in. Personally, I enjoy the look and smell of the natural wood interior. However, I have seen many people paint or stain the post and beam interiors and that can look great too. Since insulating the building is done on the outside of the framing and boarding (as detailed in the building guide), you can have an insulated building without sacrificing the look of your rustic post and beam interior. The floor frames are sheathed with plywood, but simply painting the plywood floor, installing wood floors (like fir, pine, or snap together finished flooring) over the plywood is always a flooring option. If you are using your building for a home office or studio, carpeting is also an option. 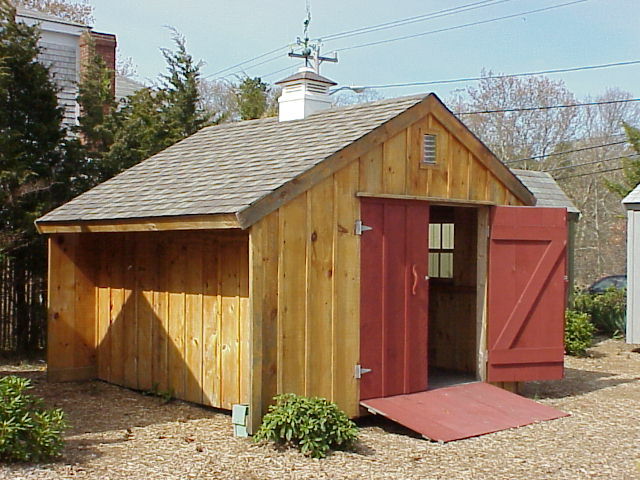 Post and beam sheds and small barns are traditionally finished with the standard board and batten siding and simple square trim like in the image below. This does not mean that you cannot finish the exterior any way you want later on, because all you need to do is remove the battens and install shingles, clapboards or even vinyl siding to match any look you want. You can also add to the trim profile and give the exterior trim a more refined look like the building below. The roof sheathing is done with either traditional boards, or plywood. This can be covered with any available roofing material. Asphalt shingles, wood shingles (like the red cedar in the pic above), or metal roofing are all options for your post and beam building. using boards, or shiplap as roof sheathing looks better on the inside. Make sure your roof sheathing is thick enough to keep your roofing nails from coming through if you are installing an asphalt roof. 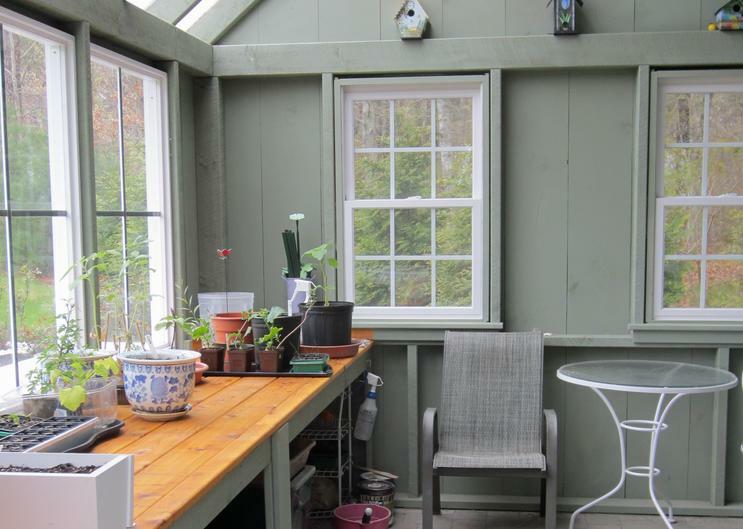 The bottom line is that your post and beam shed, barn, cottage, cabin, studio, office, etc can look any way you want it to, on the inside and outside. 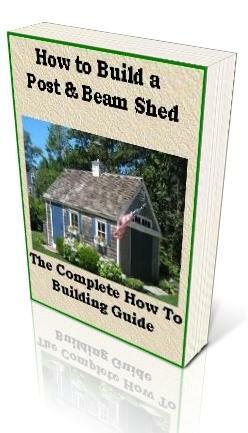 Get started on your post and beam building today! 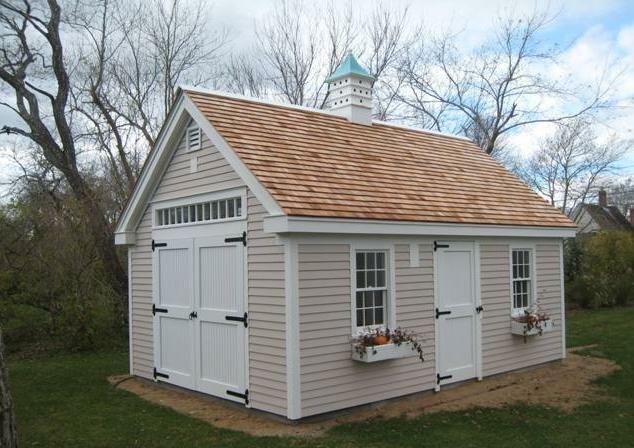 Build your new storage shed, backyard getaway, pool shed, cottage, hunting camp, hobby barn, workshop, farm stand, home office or building addition. Customize your post and beam building to serve your specific needs.